PEFC is the world’s largest forest certification system. Their credible standards seek to transform the way forests are managed globally – and locally – to ensure that all of us can enjoy the environmental, social and economic benefits that forests offer. We believe that free enterprise capitalism is the most powerful economic system for social cooperation and human progress ever conceived – when practiced consciously. 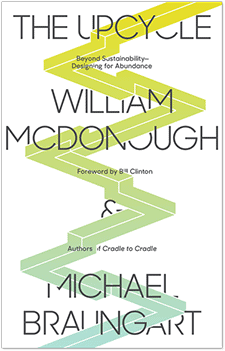 Conscious Capitalism produces businesses that are good, ethical, noble and heroic. Our organization helps companies become more conscious with transformational experiences that inspire, educate and empower them to elevate humanity through business. By joining or supporting Conscious Capitalism, Inc. you can help create a world in which business is both practiced and perceived as the greatest force for good. A global network of businesses, nonprofits and individuals working together for a healthy planet. More than $175 Million dollars given back to the environment. We bring dollars and doers together to accelerate smart environmental giving. The Cradle to Cradle Products Innovation Institute, a non-profit organization, educates and empowers manufacturers of consumer products to become a positive force for society and the environment, helping to bring about a new industrial revolution. 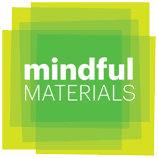 mindful MATERIALS (mM) is a free platform with aggregated information on human health and environmental impacts for products from leading manufacturers, vetted by experts passionate about making it easier to make informed product choices. The Environmental Protection Agency is an independent agency of the United States federal government for environmental protection. President Richard Nixon proposed the establishment of EPA on July 9, 1970 and it began operation on December 2, 1970, after Nixon signed an executive order. Buy Local, Buy Healthy: Find Domestic Manufacturing Facilities and Minimize Harmful Toxins in Products..
LEVEL® has been created to deliver the most open and transparent means of evaluating and communicating the environmental and social impacts of furniture products in the built environment. The International EPD® System is a global programme for such declarations based on ISO 14025 and EN 15804. Our online database currently contains more than 1000 EPDs for a wide range of product categories by organisations in 43 countries. The building industry’s leading open standard. 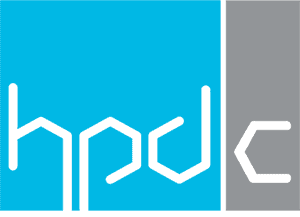 The HPD Open Standard is a standard specification – composed of a format and instructions – for the accurate, reliable and consistent reporting of product contents and associated health information, for products used in the built environment. The HPD Open Standard specification is harmonized with programs of International Living Future Institute, Cradle-to-Cradle Product Innovation Institute, Clean Production Action, BIFMA, LEED, WELL and a growing number of rating and certification standards in the building industry. MaterialDistrict is the world’s leading match-making platform in the field of innovative materials. MaterialDistrict’s value as a high-end materials inspiration source is clear: R&D and design professionals of all industries are using our platform to discover new material solutions. Daily via MaterialDistrict.com, annually at MaterialDistrict Rotterdam and periodically throughout the year with traveling MaterialDistrict Expo, MaterialDistrict Talks, and MaterialDistrict Pop-Up events. Material ConneXion is a materials consultancy that helps companies source advanced materials to enhance the performance, aesthetics and sustainability of their projects. The company is headquartered in New York City and was founded in 1997. In particular: research on circular, sustainable and innovative materials, development of new products of high social and environmental value, research and analysis of environmental sustainability trends and market scenarios for different product types. Empower your customers to efficiently search, evaluate and document your sustainable products on your website. SmartBIM’s ecoScorecard can supply your customers with the crucial sustainability information they need, exactly when they need it. Sustainable Minds is a B2B cloud provider of environmental product transparency applications, data, and services to help product manufacturers across the value chain design and market greener products.